I’ve been watching the situation in Europe for years now, and fundamentally they have serious long term issues. Specifically, their debt levels, unfunded pension obligations, and employment policies. 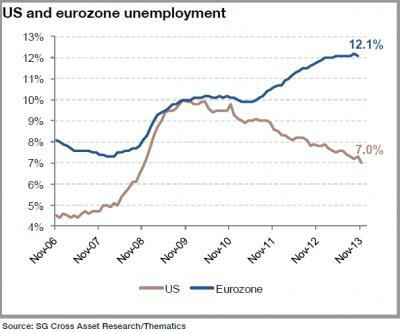 The long term unemployment rate for Europe has only gotten worse in the past few years.